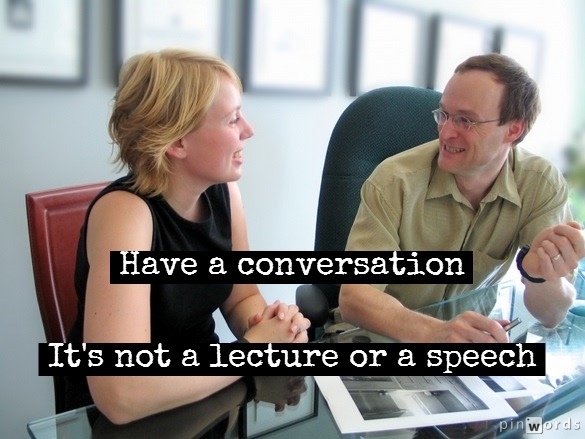 The first three words are, “Have a conversation.” Think of your presentation as a conversation. It’s not a lecture, and it’s certainly not a stump speech. To get into this frame of mind, imagine the topic of your presentation is something important that you want to explain to a friend. The second three words are, “Keep it simple.” When building your slides, less is more. 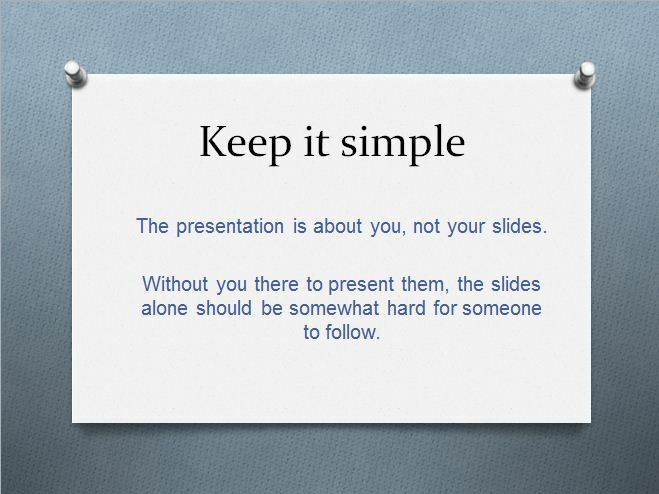 The point is, the slides, and the words on them, are not the presentation – you are the presentation. Keep it simple so your audience can focus on you. 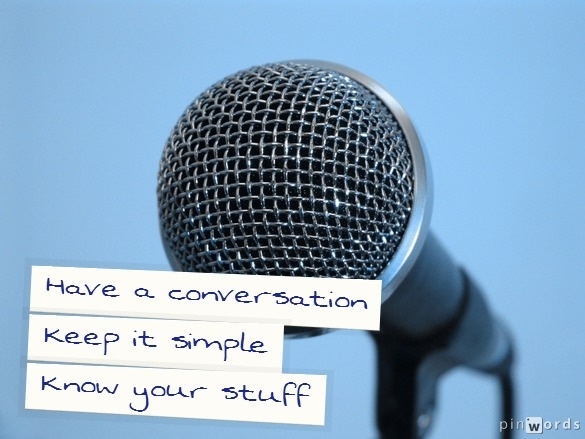 The final three words are, “Know your stuff.” This relates to your delivery. When it comes to giving the presentation, what matters most is knowing what you’re talking about. If you know your stuff – not just your speech but the subject – that will create the confidence to carry you through. Giving a presentation is rewarding, but it isn’t necessarily something that comes easily to everyone. Just hang in there and keep doing it. And remember to: Have a conversation. Keep it simple. And know your stuff.